This site got its name from is a remnant of a lava flow, and is the remnants of an ancient lava tube, it drops loosely to around 12 to 14 meters where the blue hole starts. 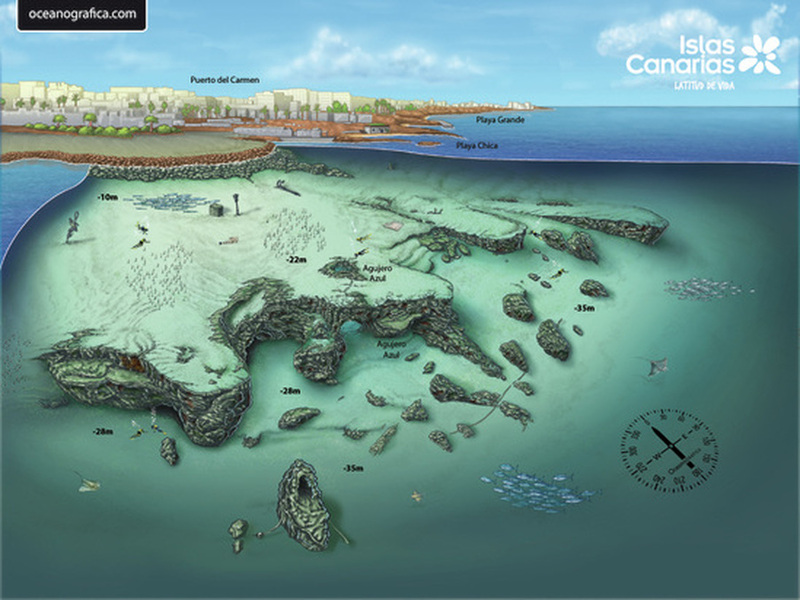 The hole has 2 to 3 meters of width and depth and will take you to 18 meters, through the reef, leaving in the other side at around 25 meters to the deep blue waters of the Atlantic. 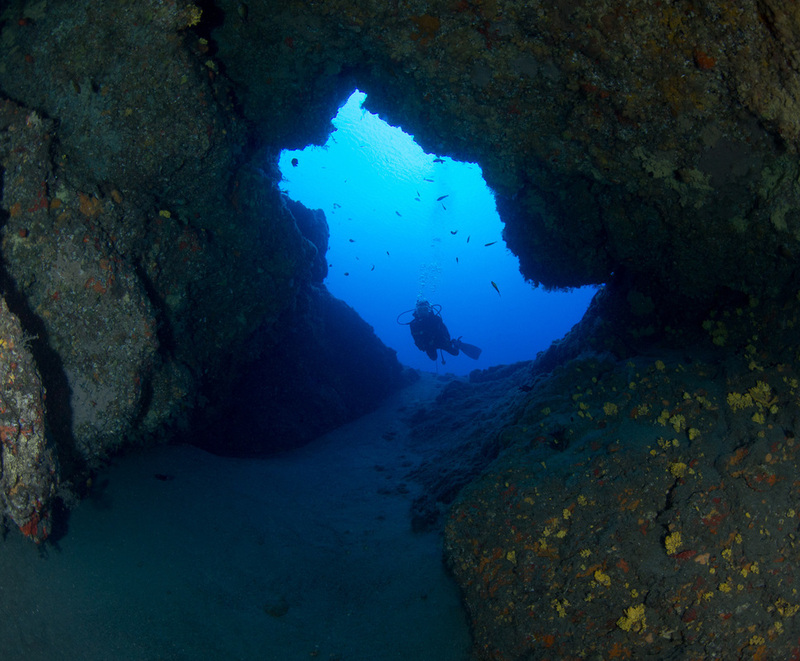 It is a nice, wide swimthrough that can easily be tackled even by the less experience divers. A flashlight is a good idea in this dive so you can explore the interior walls of the hole. Small caves are nearby to the right and the whole area here usually has resident grouper and trumpet fish. Various ray varieties are frequent and recently the "point" nearby has seen circling barracuda's, amberjack, huge groupers and stingrays and sometimes even mantas.